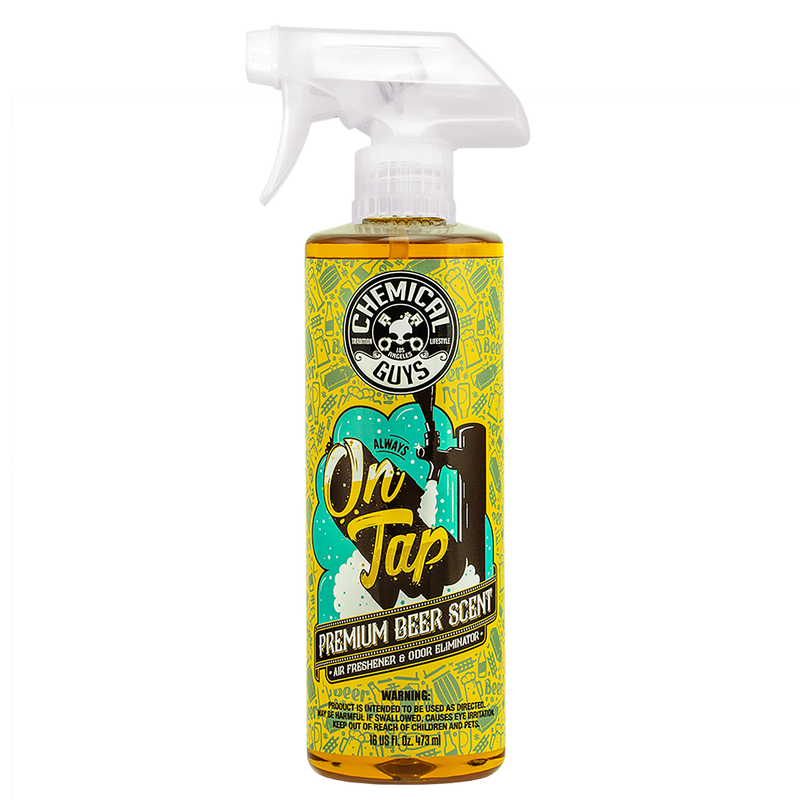 On Tap Beer Scent is the air freshener that instantly makes mouths water, nerves relax, and moods brighten with the irresistible aroma of brewed wheat, honey, and citrus! Enjoy Delicious Beer Scent Anywhere and Everywhere! Everyone loves unwinding with an ice cold one, but it’s not always possible. There are just some places where cracking open a nice cold brew simply isn’t appropriate: at work, at school, in the car... When the stress of the day comes down on you and just need to unwind, reach for On Tap Beer Scent to take the pressure off, relax, and restore your sanity! The citrus hops contained within instantly erase old odors, leaving behind only the delicious scent of everyone’s favorite beverage. The Scent of Good Ol’ Times! Who knows just what this malty aroma will conjure up? It could be the memories of you on vacation, laying on the beach, the sun warming your skin while your favorite pilsner cools you from the inside out. Or, it could that crazy night on the town with your college buds when you guys grabbed life by the horns and lived life to the fullest. Or what about that wild night in Vegas for your 21st? Or the crazy last summer? Everyone’s memories are different, but one thing’s for sure: just one spray will instantly get you reminiscing about all the good ol’ times and put a smile on your face! Clean and vacuum any debris and old food or stains that may be imparting foul smells into the automobile interior. Lightly mist around carpets, cloth upholstery, and under seats.